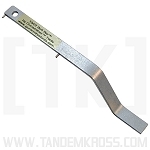 The TANDEMKROSS "Eagle's Talon" Extractor is a much needed reliability upgrade that replaces the stamped factory provided extractor. Often the factory extractor won't maintain a secure enough hold on the spent casing as the pistol is cycling and will case stove-pipes and failures-to-eject malfunctions. Luckily with this simple to install and affordable upgrade, you can greatly improve the reliability of your firearm! 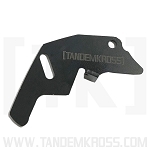 TANDEMKROSS "Eagle's Talon" Extractor is correctly machined with a positive hook that will grab and secure each round until it needs to be ejected. Eliminate your frustrations at the range with a much better part that will throw your spent cases far away from ever causing another failure-to-eject! Many would say the extractor is one of the weak points of a 10/22. Under the rigors of competitive shooting, the extractor fails in a big way. It will usually fly out of the bolt, launching the spring & plunger into oblivion. The upgraded extractor by TandemKross is made from hardened tool steel & has a sharper hook for better extraction. It is machined to tighter tolerances than the factory extractor. This is a great upgrade for those getting into competitive shooting or individuals who routinely shoot 150 or more rounds in a range session. You will get fewer malfunctions and improved reliability with this cost effective upgrade. 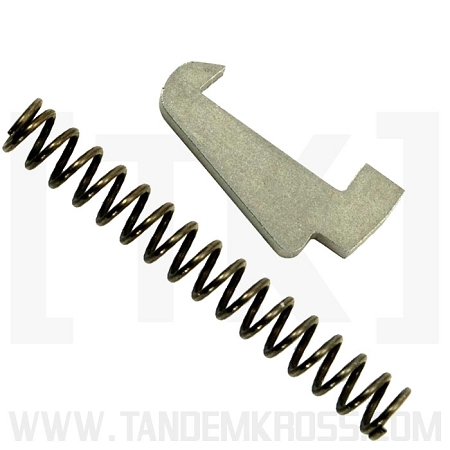 I was having "failure to eject" problems with my Ruger 22/45 (first series), so I installed a TandemKross Eagle's Talon Extractor, and I haven't had a problem since. Used the pistol in the Rimfire Challenge last week, and it operated flawlessly. I also installed one in my Ruger 10/22. 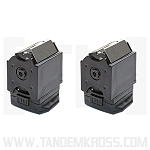 It's a cheap upgrade that you will want to do, especially if you shoot in any competitions. Works great. I bought one for my 10/22 and my 22/45. I used the Gunsmither 10/22 Bolt Bar & Extractor Tool to install the Eagle's Talon Extractor. With the help of the videos on the site and the tool it was very easy to install. Have not had a chance to test the extractor. Will update review when I have a chance to test it out at the range.